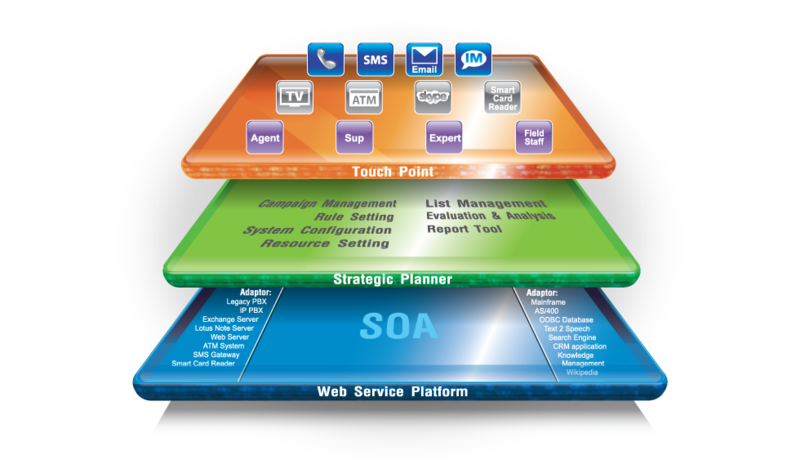 InfoCentrix Multi-Touch Points 4.0 is the rising star of contact center software solution, architected and developed under SOA (service-oriented architecture) philosophy. Therefore InfoCentrix can provide centralized management and easily add intelligence to your existing Touch Point system; ranging from PBX, VoIP platform, Fax, Email, SMS, Web Chat, ….. all the way to ATM kiosk as well as your 3G applications. The application can dispatch orders to related branches effectively and also track records of every order. Allows manager/supervisor of contact center to generate management report on agent performance. the customer information centric solution to manage and utilize data around in one page by searching and selecting. Providing for a call back just one button, New technology of contact call center solotion. Copyright © 2012 COMPUTER TELEPHONY ASIA CO., LTD. All rights reserved.